Safe working load and lifting capacity (from minimum height) of 325kg / 51 Stone, electric height and back rest operation. Safe working load and lifting capacity (from minimum height) of 325Kg / 51 Stone. 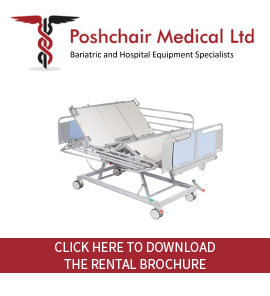 Electric Height and Backrest Operation with Hand Control as Standard. 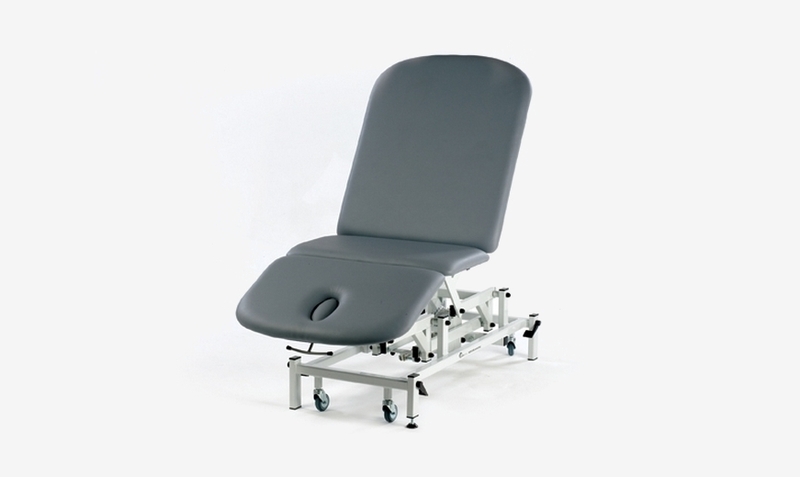 Backrest fully adjustable from horizontal to 85 degrees positive. Excellent Height range of 45-98cm (18-38 inches). Choice of Retractable Wheel System or large wheel design. Large Wheel System model features an adjustable foot for stability on uneven surfaces. Oilite Bearings on all pivot points. Patient Handgrip Supports for use at foot end of Couch (pair). Accessory rail for fixation of patient handgrip suppoprts on the side of couch - one required per side.